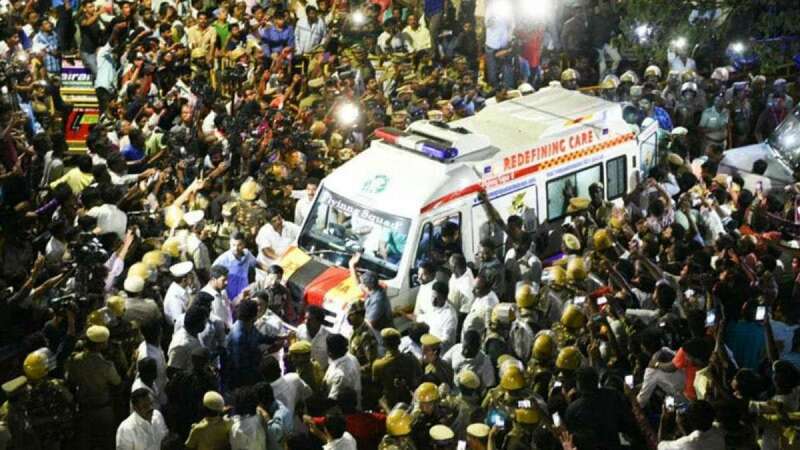 Chennai : The mortal remains of DMK President M. Karunanidhi will be taken to his home at Gopalapuram here from the Kauvery Hospital and then to Rajaji Hall for people to pay their last respects, said a senior DMK leader. "The plan is to take our leader's body to his residence at Gopalapuram. And from there to Rajaji Hall for people to pay their last respects," the leader told IANS. As per plans, Karunanidhi's mortal remains will be laid to rest on Wednesday. Karunanidhi, Chief Minister of Tamil Nadu for five times, died on Tuesday evening at the Kauvery Hospital.